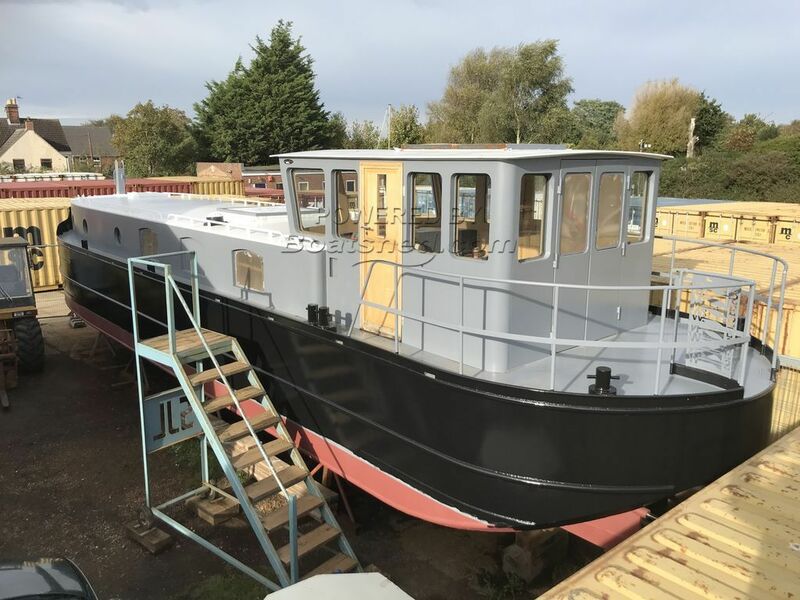 This barge is as good as she appears, she is extremely well built and appears light throughout with lots and lots of natural daylight with the innovative Sky Windows. This barge was built to create a demonstrator, that could be produced to pattern and as such this is serial number 001, she is offered with an overhauled engine and this is detailed herein but should the purchaser decide on an emission compliant engine or to change it then this can be arranged easily. This Barge Wide Beam "NEW" And GREAT VALUE has been personally photographed and viewed by Philip Berkeley of Boatshed Suffolk. Click here for contact details. Please note this comments section is public. Please do not post your personal details here. To enquire about purchasing this boat, please contact the broker directly at philberkeley@boatshedsuffolk.com. Please read our commenting guidelines before posting.